It all comes down to keeping the critters happy. Happy animals are healthy animals, and we do everything we can to keep them well-fed, sheltered from sun and rain, and spared from boredom. The only critters that cause us problems are the bored, unhappy ones: they escape their fences, eat things they should not, and get sick easily. Just like people. This is what contented cows look like. 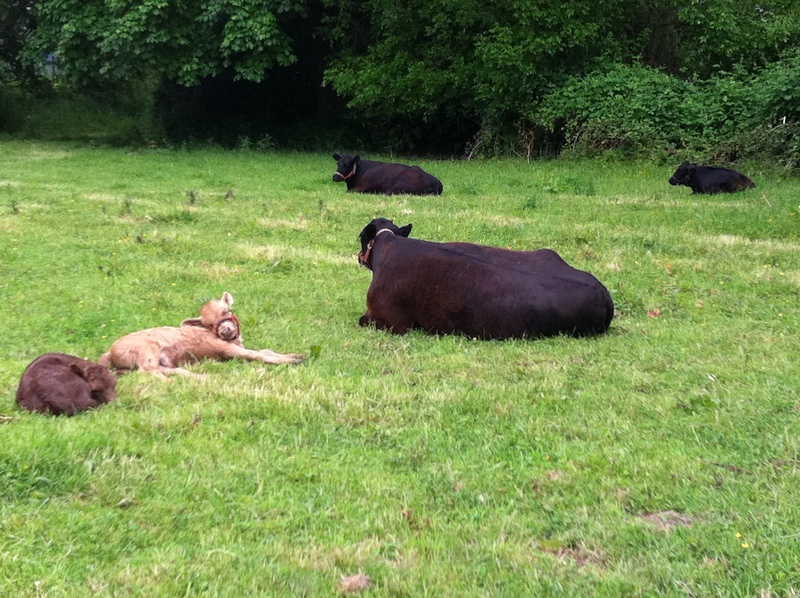 Mamas chewing cud and meditating, and calves sleeping by nearby. do you sell beef from your cows?